In the mood for an invigorating vegetable dish with a difference? The Winter Melon (冬瓜) is a very large fruit, eaten as a vegetable when mature. Although the fruit is referred to as a "melon", the fully grown crop is not sweet. This is a versatile vegetable dish with flavours so gently coaxed that every bite of it makes a statement. For vegetarians, simply omit the dried scallops and oysters and replace the chicken stock. Soak conpoy, mushrooms, black moss and oysters in water till soft. Remove mushroom stems and marinade for 30 mins with 1 tsp each: oyster sauce, sesame oil and wine. Deep-fry beancurd sticks till golden brown. Be careful not to fry on high heat as it’ll burn easily. Drain and set aside. Heat oil and sauteed garlic till fragrant. Throw it ginger, mushrooms and oysters. Pour in stock and add beancurd sticks and ginkgo nuts. Add remaining oyster sauce and simmer for 10 mins. Add wine, sesame oil and black moss. Mix well. Remove skin and seeds from melon. Rinse. Transfer cooked mixture into the center of melon. Cover with plastic cling and microwave on steam mode or for about 3-5 mins till melon becomes soft. 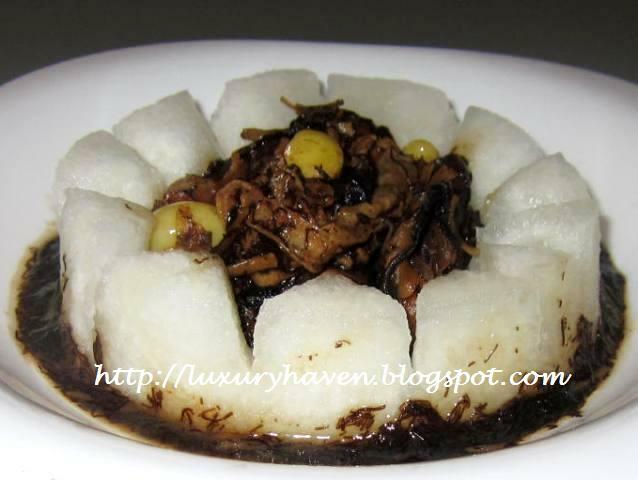 Serve this rich appetizing dish hot! Yum! That looks delicious and I love your presentation. I've never had winter melon though, but it sounds interesting. Shirley, this is quite the dish. All the ingredients are so different from each other in taste and texture, but blend wonderfully. Your presentation is always so creative and lovely. I'm going to bookmark this one for sure and maybe try it when my in-laws are in town. 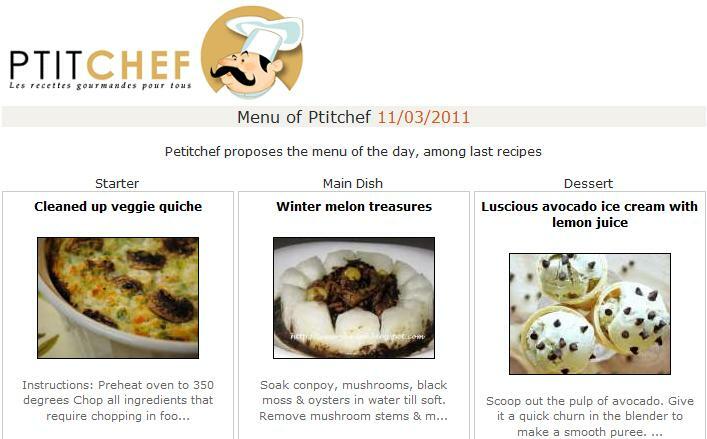 Thank you for always providing me with such luxurious recipes. Absolutely glorious dish! What fantastic combinations of flavor...love it! This can be one of the prosperous Chinese New Year dish. How lovely that looks. I like the different textures and flavours you've used. It is so nice to eat a dish with a lot of ingredients. Every bite is a different experience. I love the presentation. How nice to have your food serve always hot with the burner beneath the dish. Must be real yummy! What a fascinating combination of ingredients, this dish looks spectacular! 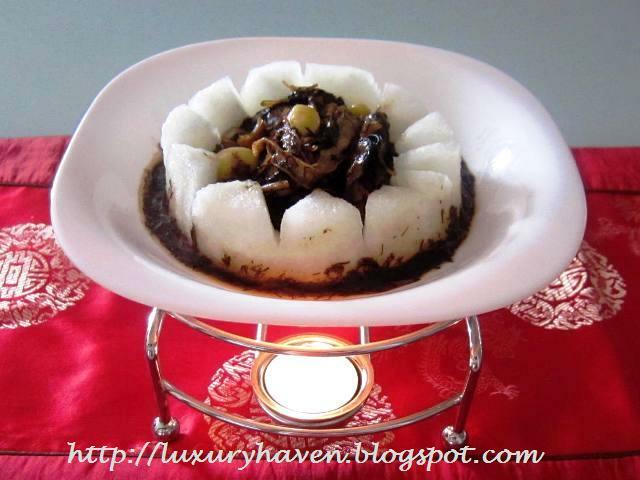 Great idea in microwave the winter melon instead of steaming. Will bookmark for my next CNY dish! Thank u so much for your generous comments! This was also one of my dishes for CNY Reunion Dinner. U can cook this for any occasions & it's a great 1-dish meal too. Reana, melon cooks real fast. Depending on your oven capacity, adjust timing accordingly. Sure, u can steam too. Because I'd so many dishes to handle by myself, it's faster & easier to microwave. Happy cooking, dear! Ken, u sure are testing my skills! Hahaha! Always wanted to learn Thai carvings. They're so beautiful!